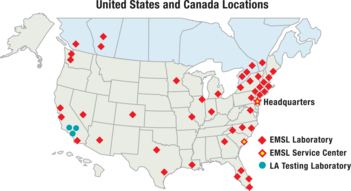 The Occupational Safety and Health Administration (OSHA) issued a final rule to help protect workers from exposure to respirable crystalline silica, which is being phased into effect starting on June 23, 2016. The new rule revises the Permissible exposure limit (PEL) for crystalline silica to a level approximately one-half to one-fourth of the previous limits. EMSL Analytical, Inc. is accredited to ISO/IEC Standard 17025:2005 with respect to crystalline silica through the American Industrial Hygiene Association (AIHA). EMSL Analytical, Inc. provides testing services for crystalline silica including alpha quartz, cristobalite and tridymite as well as amorphous silica. EMSL can help you meet the new standards. 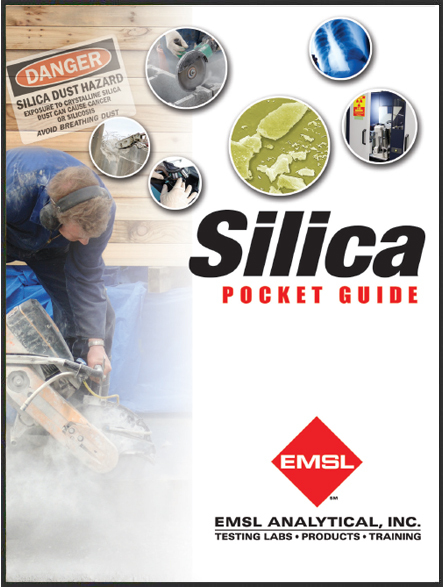 Click here to download a PDF copy of EMSL's Silica Pocket Guide.